Have you ever wondered what information can be obtained from the weather maps regarding the latest weather conditions? Intriguing as they may be, have you been overawed by their complex outlook? Follow the following step wise instructions to learn how radar maps work in Weather Mate and how relevant information can be extracted from them. 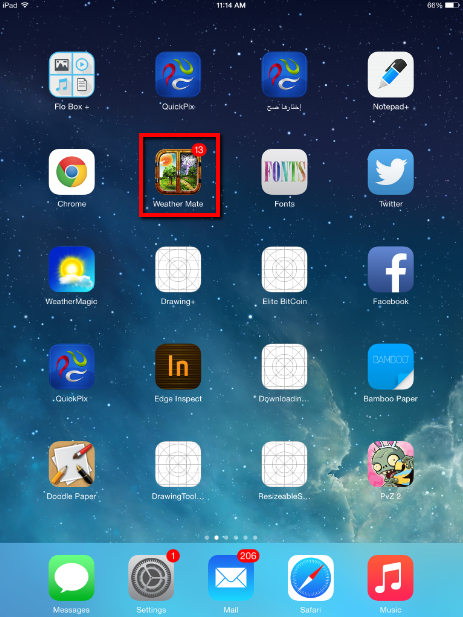 Step 1: Locate the App’s Icon. Step 2: Access the Weather Maps. 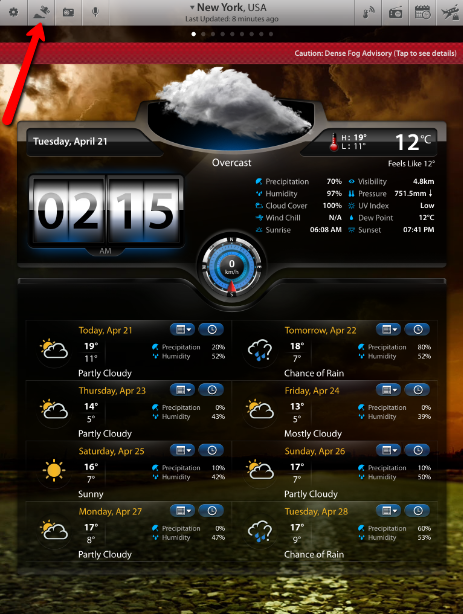 Tap on the Weather Maps tab in the top left corner of the home screen to get access to the weather maps default screen. Step 3: Select the Map Type. 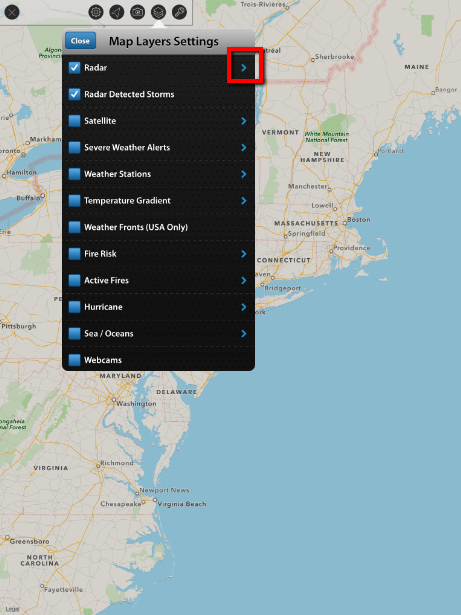 On the weather maps’ default screen with standard maps, tap the Map Settings tab to choose the Map Type of your own choice. Choose Hybrid Maps. 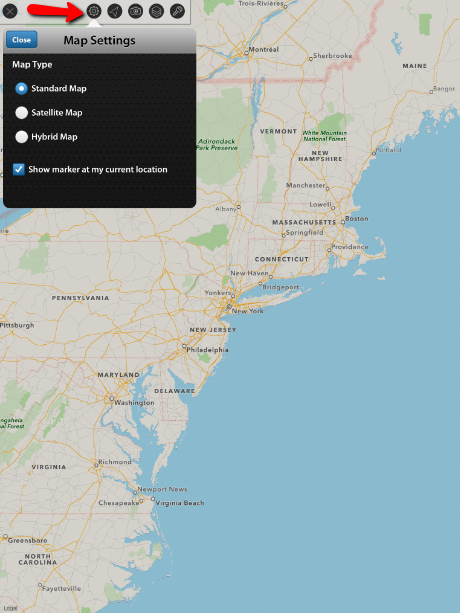 Opt for Hybrid Maps to get a combination of both Standard and Satellite Maps depicted. Step 4: Check Radar and Radar Detected Storms Overlays from Map Layer Settings. Tap on the Map Layer Settings tab to choose the Radar and Radar Detected Storms overlays. 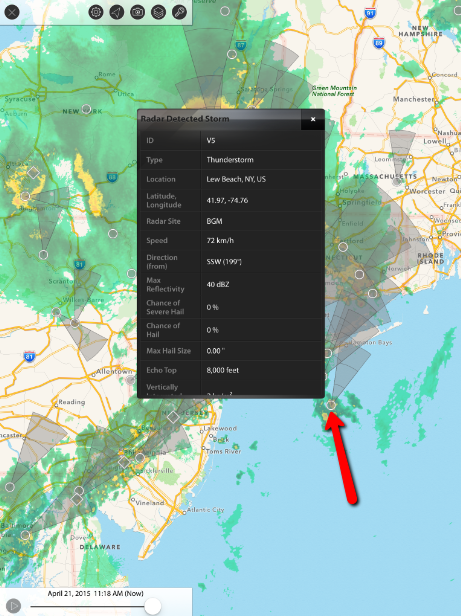 Step 5: Access the Radar Map Settings. Tap on the arrowhead opposite to the Radar layer option to enter the Radar Map Settings. Step 6: Edit Radar Map Settings. Customize Overlay Opacity, Total Frames, Animation Speed, NEXRAD Base Reflectivity and TDWR Base Reflectivity. Step 7: Retrieve Storm Data from Radar. Once the maps load and emerge on your device’s screen, tap on the tiny circles and squares emanating greyish radar beams to access data relevant to radar detected storms.